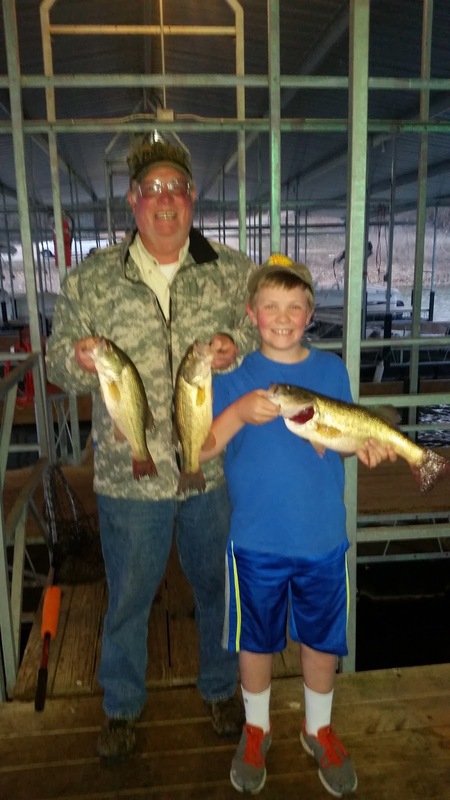 Spring has officially arrived at Norfork Lake and the spring fishing patterns have started. 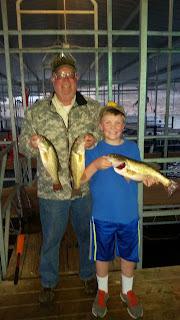 With the coming of early spring starts the pre-spawn feed for large and smallmouth bass as well as stripers, hybrids and whites. 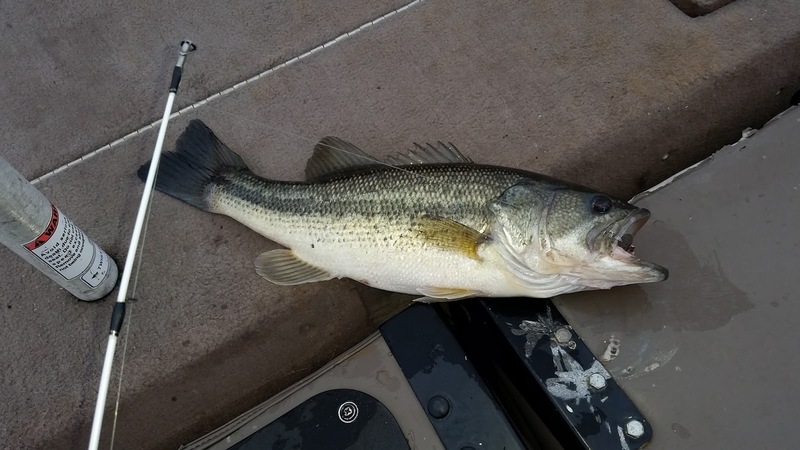 The fish are moving to shallow flats and feeding heavily on shad. The biggest drawback with early spring is the constant change in the weather. 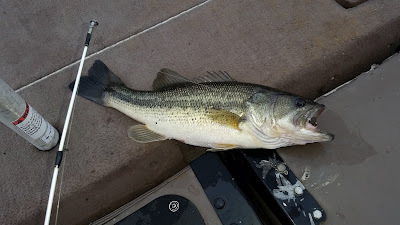 When we have the warm south winds the bite gets real good, then a cold front rolls though which tends to move the fish off the shore and slow the bite somewhat. I guess that is why they call it fishing. The best bite on the lake in my opinion is for large and small mouth bass. I have been fishing with a 1/4 ounce silver Kastmaster with a feather covering the treble hook, some call it a spoon others call it a blade bait. 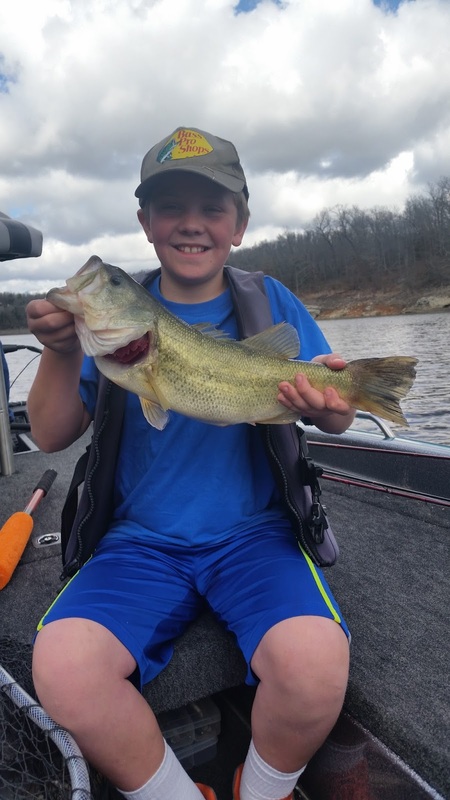 You will find nice size bass all the way back in creeks in shallow water, main lake shallow flats and on main lake points. I have been fishing in the afternoon until dark for bass and have found nice size fish feeding on shad on the surface, then when the top water action stops, I am finding them suspended 10 - 20 feet down in deep water, but still related to the main lake point. Wiggle warts and suspending jerk baits are also producing some really nice fish. 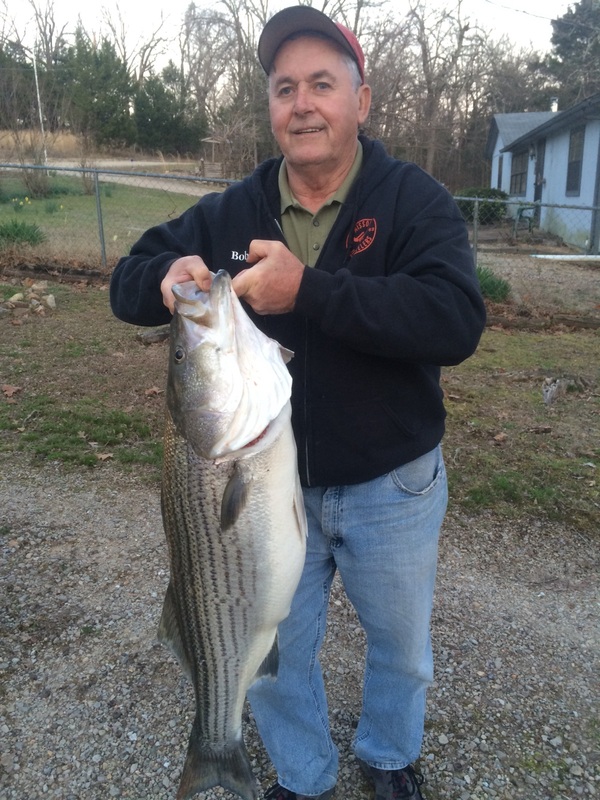 Striped bass, hybrid bass and white bass can also be found in very shallow water. During the daylight hours I have been finding some nice stripers on main lake flats in very shallow water, anywhere in 2 - 20 feet of water. As the sun comes up they tend to move out into 40 + feet of water. Some are on the bottom and others are suspended. Good electronics is a definite plus for finding these deeper fish. My small Kastermaster as well as a 3 - 4 inch grub has been working the best for me. The biggest issue with the Kastmaster is that it has a really small treble hook and is hard to get a good hook set in a stripers hard mouth. I have been losing more fish after a 5 minute battle than fish that I get to boat. 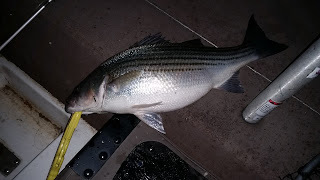 The striper bite after dark is also continuing and should only get better. I am still throwing a 5 - 6 inch suspending stick bait and reeling it slowly back to the boat. I have been finding stripers on shallow main lake points as well as shallow points back in the major creeks. Walleye are starting to bite after dark, as well as early and late in the day. They are being located in the same type of areas where I am finding stripers. 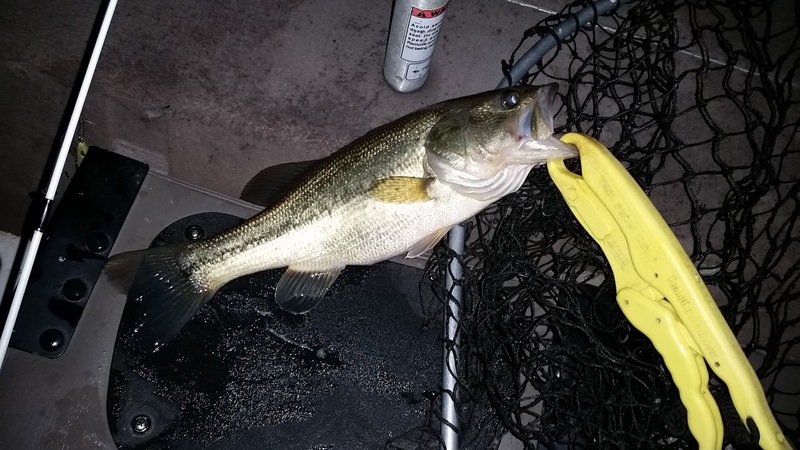 Stickbaits, grubs and even the Kastmaster spoons are catching some nice fish. Norfork Lake level is falling slowly with one generator running and currently sits at 554.02. (Close to normal pool.) The surface water temperature is in the mid to upper 50's. The lake is starting to clear, but is still stained all over. Ideal fishing colored water.